Most people have basic training in first aid: how to clean a cut, how to put on a Band-Aid, and other routine care techniques. But what happens when your furry friend has an emergency and needs help? 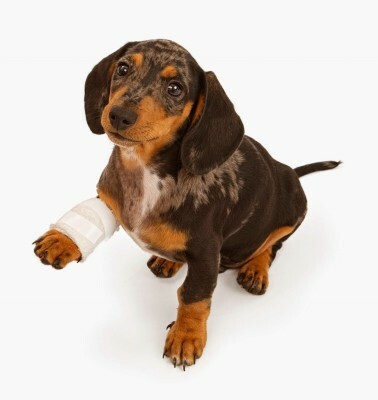 Pet first aid is not a widely talked about topic, however it is very important if your animal needs immediate care. Pets are constantly surrounded by potential hazards, even some that you might not have considered. Open doors and windows could potentially lead to a fall, or a car may hit the animal if the pet had made its way outside. Some plants and flowers can also be poisonous and make your pet very sick. With that being said, it is important to know what to do if something dangerous were to occur. Good news! April is Pet First Aid Awareness Month, and this is a great time to make sure that you have all the knowledge and skills you need in order to take care of your furry friend! First and foremost, planning ahead is key. You are encouraged to have a prepared kit with supplies, including phone numbers for your veterinarian and Animal Poison Control Center. You should also have gauze, a leash, nonstick bandages, adhesive tape, medications, and anything else that could be of importance to the well being of your furry friend. It is also very important to keep up your pet’s general health, just as it is for your own body. Exercise, fresh water, and yearly checkups are vital to a healthy animal. Pets should be given nutrient-rich food, be up to date on vaccinations, and be spayed or neutered. “To determine if your cat or dog is dehydrated, pull up on the skin between the shoulder blades. It should spring right back up. If not, this is a sign of dehydration. Signs of pet poisoning include bleeding externally or internally, dilated pupils, drooling or foaming at the mouth, seizures, or other abnormal mental state or behavior. If your pet has a seizure, make sure it is in a safe place, but do not restrain the animal. Keep your hands away from its mouth, as your pet may not recognize who you are during the seizure and could bite you. Signs of heat stroke or heat exhaustion include collapse; body temperature of 104 degrees F or above; bloody diarrhea or vomiting; wobbliness; excessive panting or difficulty breathing; increased heart rate; mucous membranes very red; and increased salivation. Pets bitten by other animals need vet attention to prevent the wound (even if minor0 from becoming infected and to check for internal wounds. Never break up a dogfight yourself because you could be bitten. If your pet is bleeding, apply direct pressure using gauze over the bleeding site. If blood soaks through, apply more gauze (do not remove soaked gauze) until you can reach a veterinary hospital” (“Pet First Aid Tips for Owners”, The American Red Cross). Accidents occur at unlikely and random times, so it is important to always be ready. When in doubt, always contact your veterinarian to make sure everything is A-Okay. Better safe than sorry! 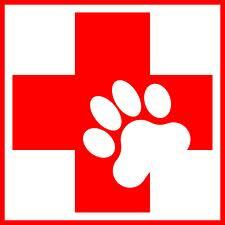 “Pet First Aid Tips for Owners.” American Red Cross. N.p., 24 Apr. 2014. Web. 24 Apr. 2016.